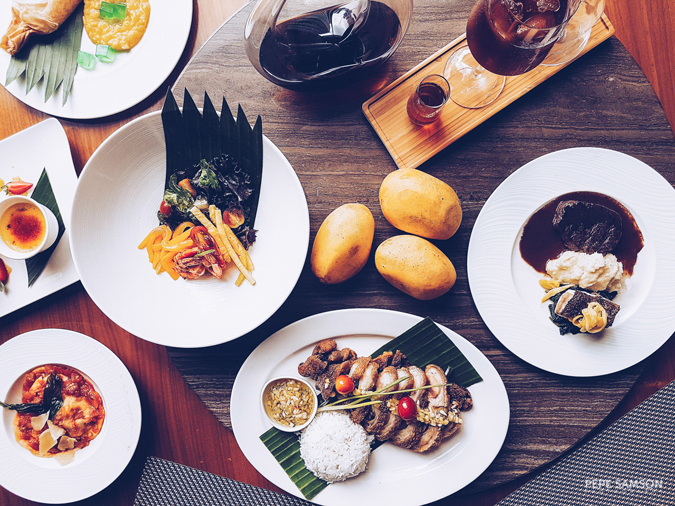 Experience new heights of local cuisine this July and August as Marco Polo Manila introduces 3 set menus that feature 3 signature fruits of the 3 biggest islands of the Philippines. 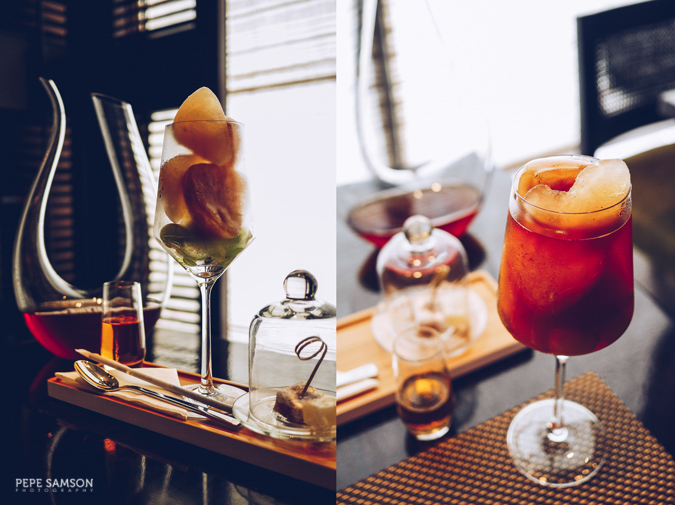 Cucina, the hotel's all-day dining restaurant, offers a different kind of fusion using the sweet flavors of Manila pineapples, Cebu mangoes, and Davao pomelos to elevate signature Pinoy and international dishes—to give them a little fruity boost. 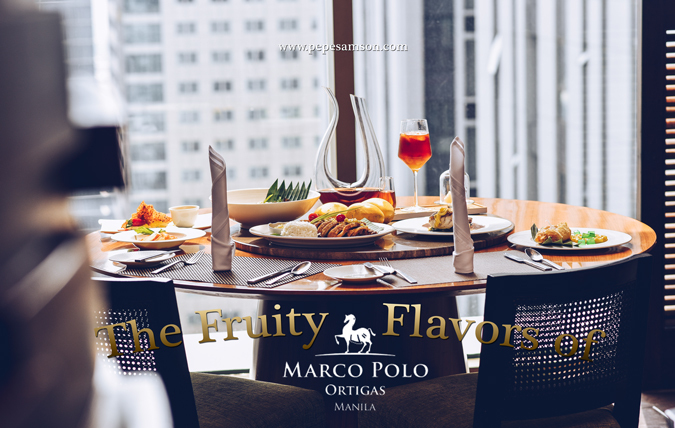 The chefs at Marco Polo Manila have prepared an exquisite 3-course set menu using the versatile pineapple. From salads and mains to drinks and desserts, this tropical fruit is indeed among Filipinos’ favorites. I personally love adobo with diced pineapples and pininyahang manok, so the Piña Mania—as the hotel calls it—truly appealed to me! 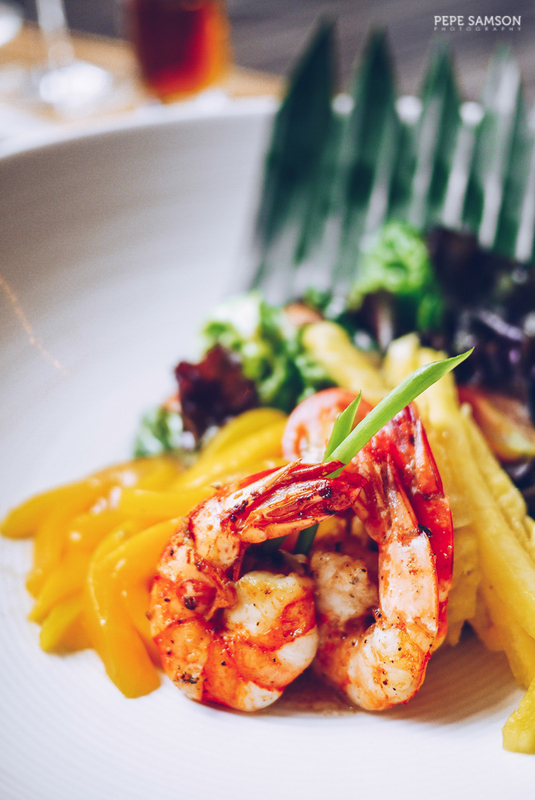 Take for instance the Grilled Tiger Prawns with Pineapple-Mango Salad and Tamarind Vinaigrette, a refreshing and light starter that is just so delicious! I loved the sweetness introduced by the addition of fruits in this dish, as well as the subtle hints of tartness from the dressing, the saltiness and a bit of smokiness from the shrimps, and the crisp from fresh greens. A well-balanced salad, if you ask me. The Crispy Pata, always a crowd favorite, gets a further lift with some foie gras stuffing (yes, as if the infamous pork leg wasn't sinful enough in the first place)! The richness of the foie gras, the herbs inside, the juicy pork, and the crackling skin make up a solid, mouthwatering dish. A serving of pineapple salsa cuts through the fattiness and the flavors of the meat, so I wouldn't be surprised if anyone could finish half this plate. Finish off with the Pineapple Tamale, an even more glorious excuse to commit more sins. 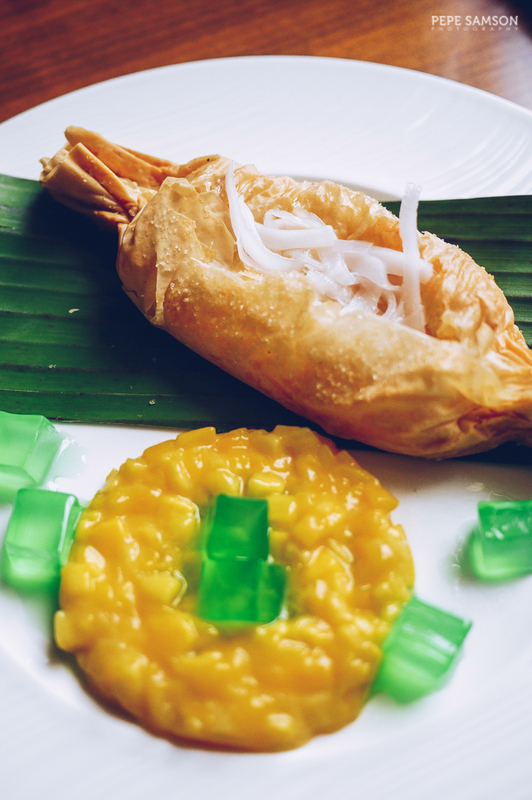 The pastry crust is filled with sweet-sour pineapple, then served with some mango custard and mint coconut jelly; it will delight any dessert lover who always looks for that element of acidity. Marco Polo Cebu, on the other hand, showcases the mango with their signature Mango Bango. 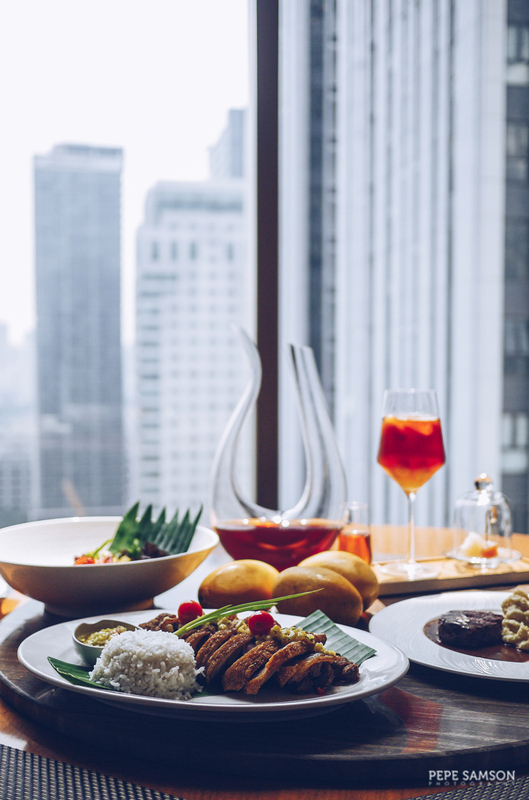 Offered at BLU, their in-house restaurant, the set menu features continental dishes that incorporate the sweet flavors of our national fruit—and is also offered this month in Cucina. The Pasta Ravioli with Crabmeat and Mango, because of its ingredients, brings to mind the refreshing taste of sushi, but this one was presented in a different, yet still creative form. 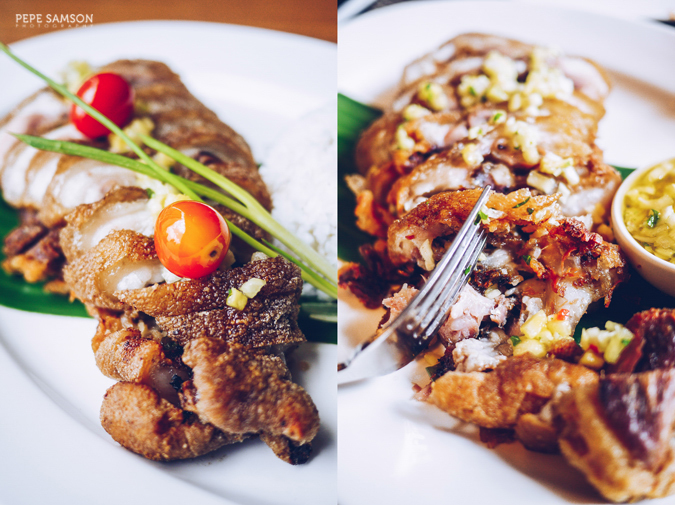 Cebu is blessed with sumptuous seafood, so naturally their entree has to have some fish on it. 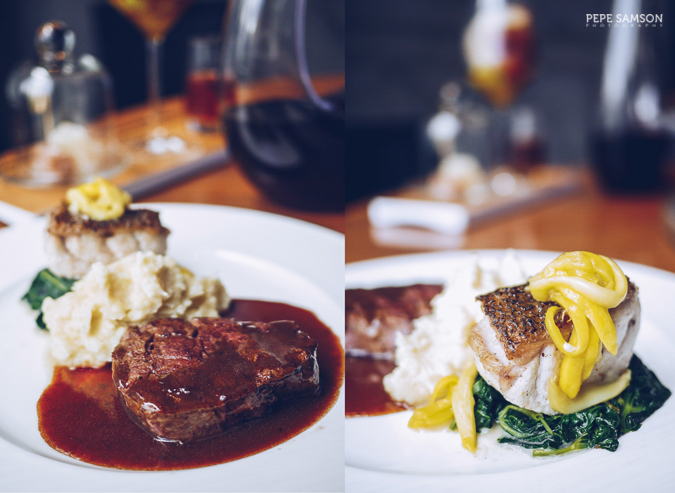 The Mango Surf and Turf is an exquisite creation—a beautiful plate of beef tenderloin, perfectly-cooked grouper, adobong kangkong, mashed potato, and sake-infused beef jus, all topped with delicious mango slices. The dish was as tasty as it looked, which was why it was gone in sixty seconds. Love cheesecakes? 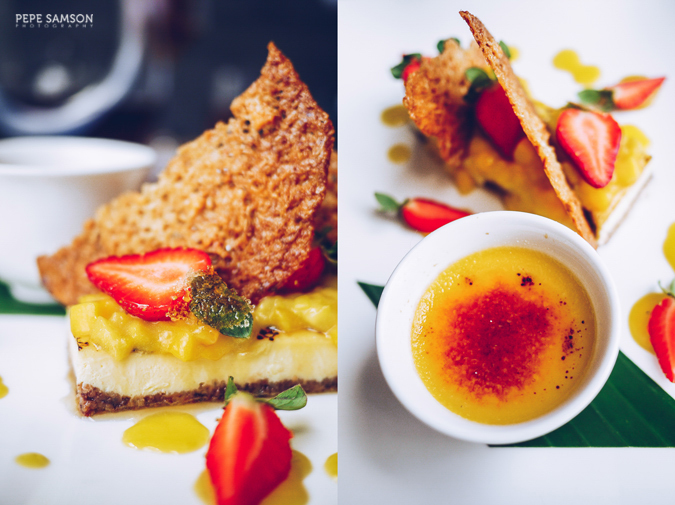 The indulgent duo of Cheesecake and Mango Jam Creme Brulee is the bomb. The cheesecake has the denseness I like, and I loved the interplay of tart and sweet notes from the mangoes and strawberries. The crème brulee, of course, is not to be ignored, as this just had me taking mouthfuls one after the other. The perfect pair for these dishes? Why, Marco Polo’s signature Earl Grape Iced Tea (PhP250) of course! 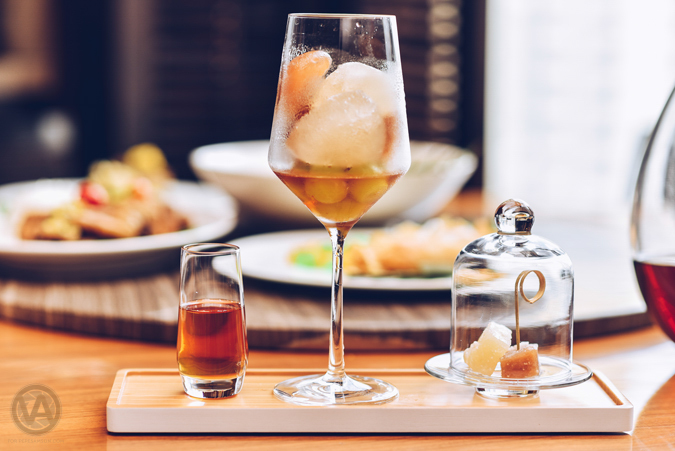 Available in all Marco Polo and Niccolo hotels, this drink made of earl grey tea, seedless grapes, and elderflower-infused ice cubes is simply the iced tea in perfect form—just the right sweetness, a hint of bitterness, addicting and refreshing! Both the Piña Mania and Mango Bango set menus are available at Cucina this July, with the former going on through the next month. 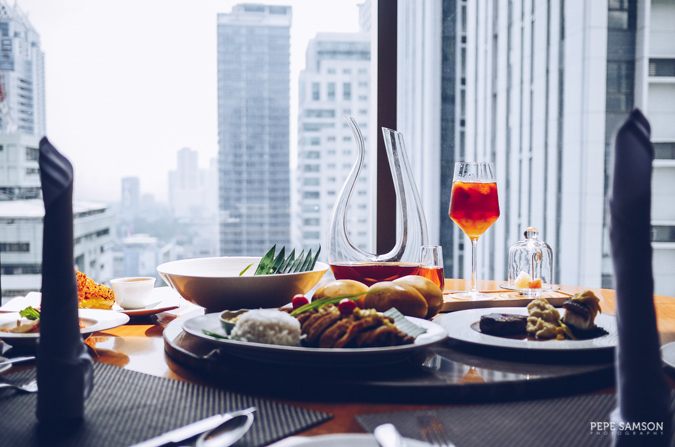 By August, Cucina will also offer Marco Polo Davao's signature set: the Oh! Pomelo. The set menus are available at PhP1,700 per set. 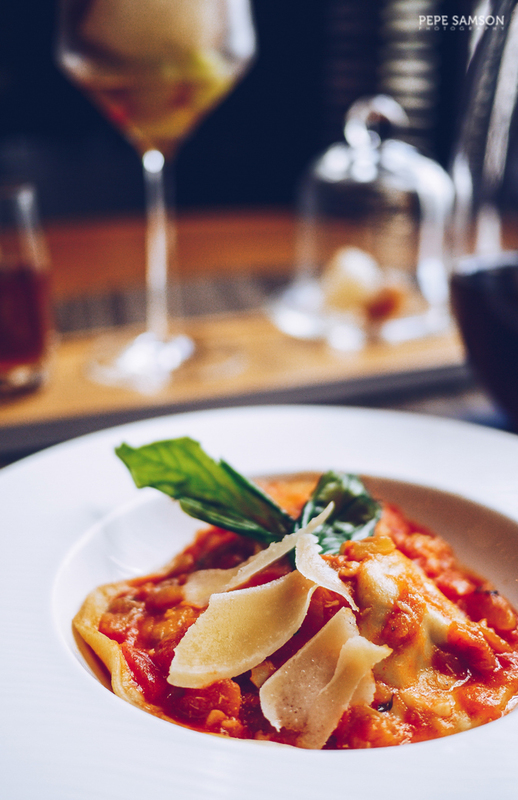 What do you think about Cucina's fruit-based menus?